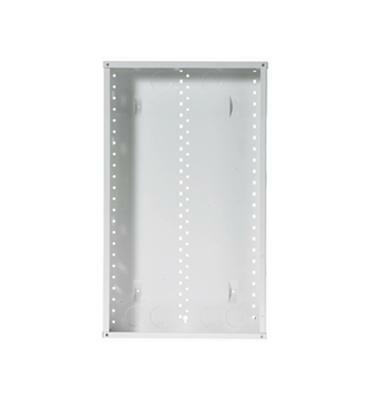 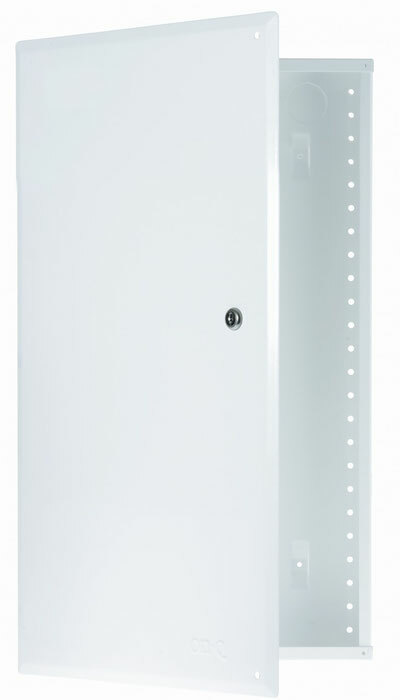 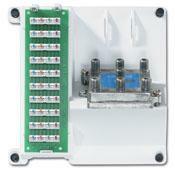 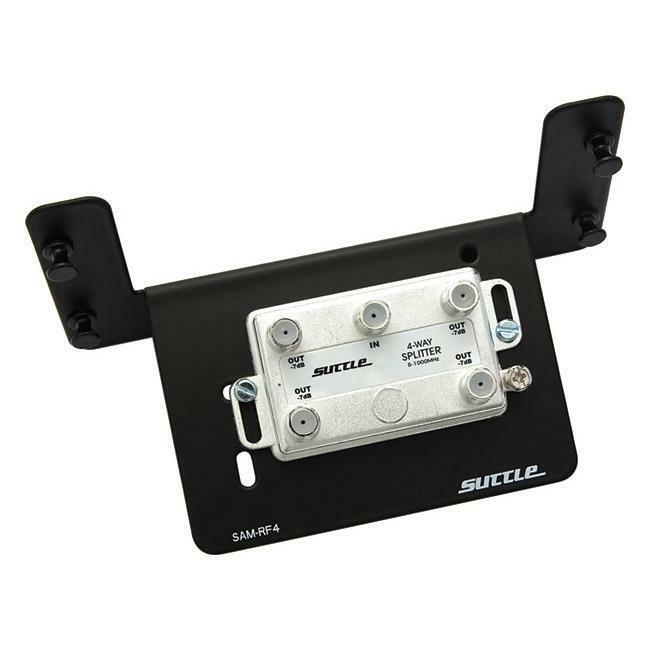 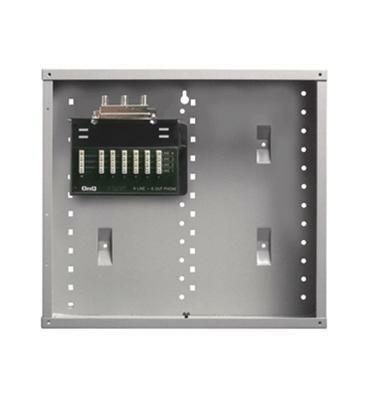 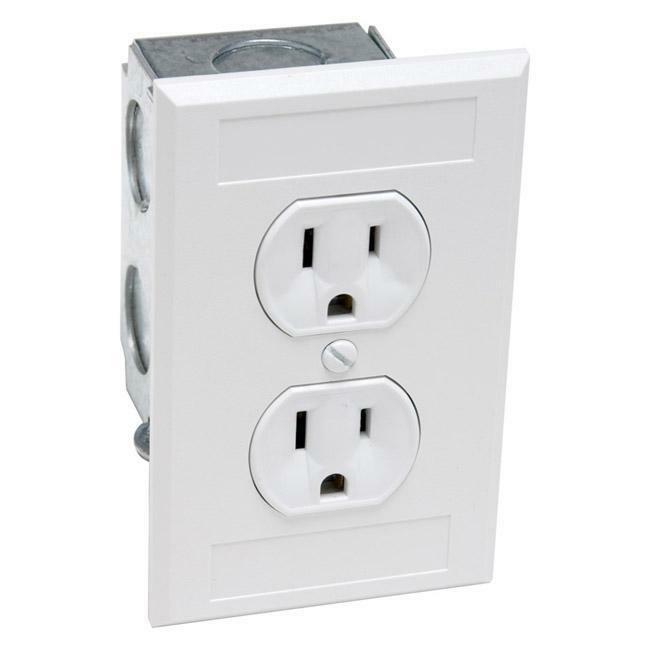 AC outlet kit, non-surge protected, includes 15A, 125V receptacle, faceplate and J-Box, white. 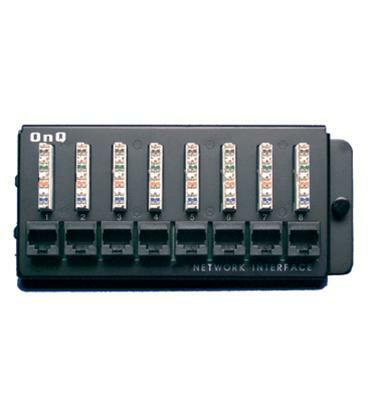 4-line input, 8 output, 110 IDC blocks, RJ31X alarm jack, 1 test jack. 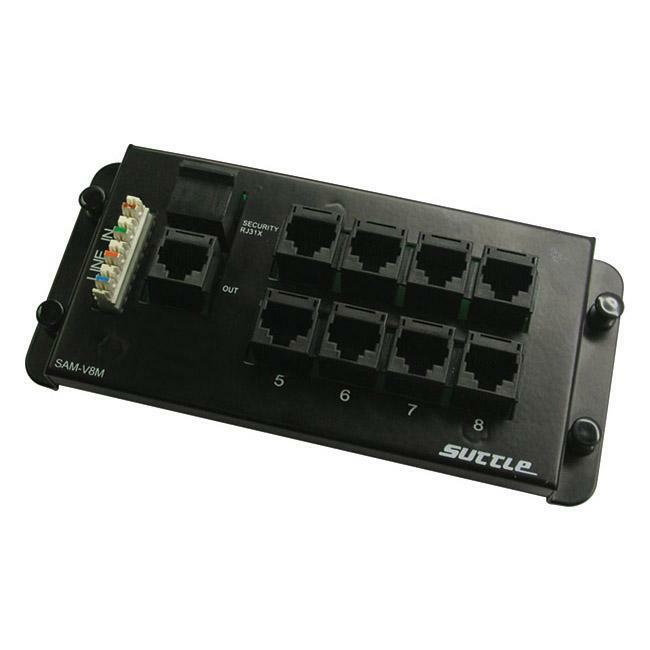 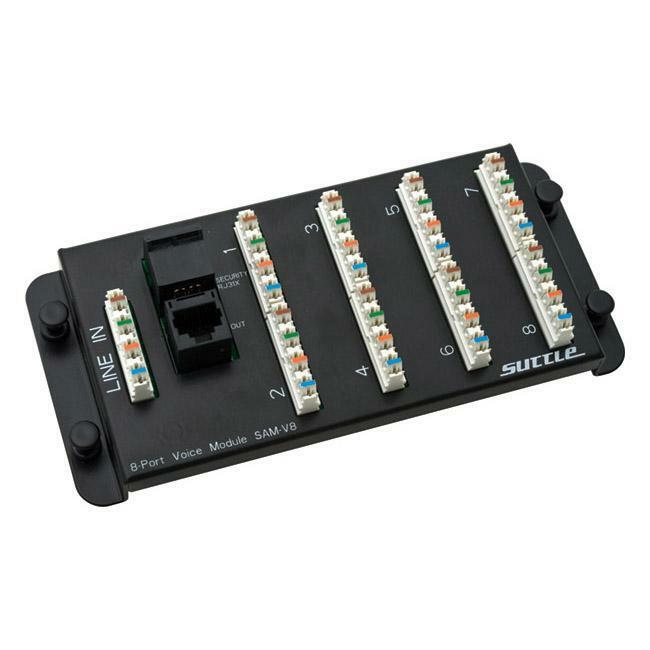 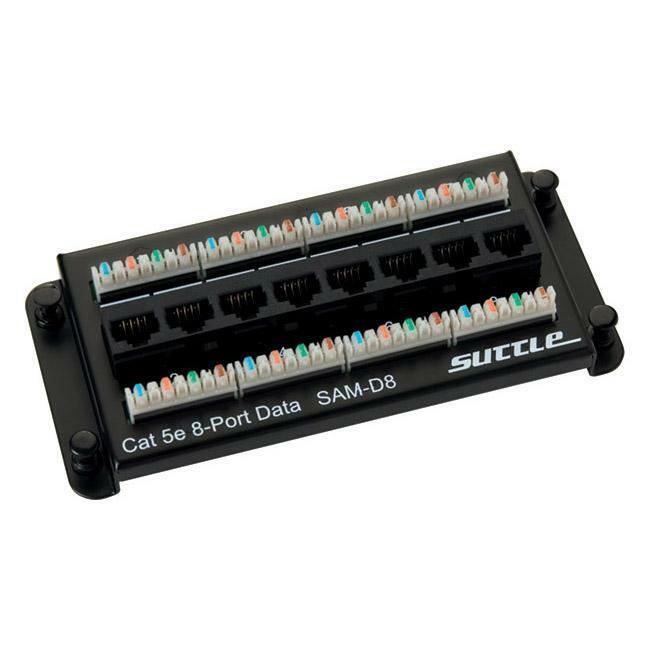 4-line input (110 IDC), 8 output (RJ45), RJ31X alarm jack, 1 test jack.